O’Brien’s debut collection War Reporter recently won the Fenton Aldeburgh Prize for best first collection. It deals with his relationship with the Pulitzer prize winning war photographer Paul Watson, exploring what drives him to take his camera into war zones, into areas of extreme poverty, famine and disease, into a world of suffering. It also examines the developing complex relationship between the poet and the photographer. It is also the mirror piece to an award winning play, The Body of An American by O’Brien. This is undoubtedly a rich and intricate collection yet I have chosen to discuss his follow up collection called Scarsdale as for me this opens up an opportunity to scrutinise what makes a life story and poetry work or sink into that special abyss kept for poems that earn the label of yet another domestic mother/father poem. Even this week I noted one judge of a national poetry competition referring to a seemingly endless arrival of poor poems about mothers. So what sort of a poem manages to side step the domestic or banal yet still tackles the family as its subject. I have not called this piece a review because that word always makes me feel slightly uncomfortable because I am not a reviewer. I write about work that I have learnt from or have loved and I want to share it with those who care to give of their time to reading this, so clearly I am biased. That’s my cards on the table before we start. 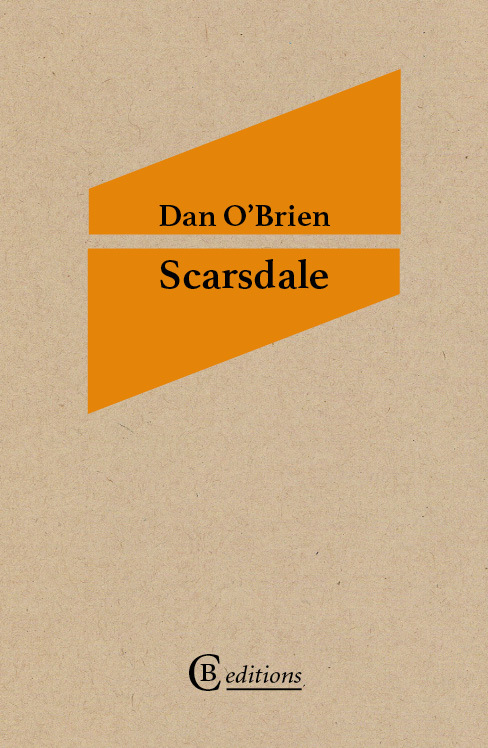 In Scarsdale O’Brien explores his own childhood and family ties and that can be a huge minefield for any poet. Memory makes a rich stew of truth, lies, reality and illusion; from each retrieved moment we construct a world that we fight to make sense of. If a collection such as this is to avoid sentimentality, eschew a hackneyed feel of the confessional or not be threaded through with darkness in order to achieve some spurious sense of poetic gravitas it has to use the quality of the writing to hold it all together and give it true coherence for the reader. Scarsdale is a master class in how to engage with memory and make of it something honest, an individual story yet also something universal. If you want to write about your family and struggle with the complexity of memory then it would be worth reading this collection. The collection is a triptych , childhood memories in Scarsdale, his time abroad as a graduate especially in Ireland and his return and his family seen through the eyes of someone who is already moving away, pulling back and changing perspective. Scarsdale is an affluent predominantly white neighbourhood in the northern suburbs of New York City and O’Brien’s family were an Irish American culturally working class family with six children. There was already something of a misfit, a friction that seemed to give the family a sense of alienation from what surrounded them before O’Brien was even born. The dice of place and character had already been thrown, as a child he entered a stage where the backdrop, the furniture had already been placed and the back story of characters had already begun to play out. You have to earn a question mark, using it for quick effect undercuts its power if you are unable to subsequently convey to the reader an honesty in searching for an answer to that question. I think O’Brien earns his right to it. In the first section there are poems which draw the reader into a claustrophobic world of a dysfunctional family although there is a grim sense that the family has developed its own way of surviving and adapting to its own history littered as it is with alcoholism, mental illness and the conjuring of secret absence where a child should be. Others have already commented on the theme of ghosts that seem to walk the corridors of O’Brien’s writing both in War Reporter and Scarsdale. The sense I have in this collection is almost a visual one, a striving to create ‘negative space’, writing the space to form the subject, in this way each poem begins to shape the sense of what family is. Even the use of the white page , the poem layout and length, free verse form and enjambment adds almost subliminally to this creation of the space and thus the object. money now. Or not much anyway. so our children at least would not suffer. Estrangement between his family and O’Brien was almost inevitable, although not a consequence of this collection, and he has in interviews and at readings made no secret of that. There are enough secrets already warping the timbers of this family ship. When a child is cut loose, set adrift from the family sometimes they sink but sometimes it is the ship that flounders and the child is able to find their own land, make their own small ship with timbers not out of true. In Truro O’Brien describes himself as always preferring to look out to sea. This collection is dark, it feels almost voyeuristic at times glimpsing into the fractured heart of a family that survives on secrets. It is certainly not to be taken as a straight factual memoir in poetry, poetry can do so much more than that. It is almost alchemic in its mix of memory, emotional truth and mythic construct, at times it has some elements of magic realism. Almost everything of emotional importance that O’Brien tries to interrogate becomes like one of the wounded raccoons being clubbed to death by his father before the family next door wakes up and is never to be spoken of. It is no wonder that O’Brien writes of an early memory of his mother hearing mice scuttling in the walls and waiting up with her with bats and brooms but falling asleep and thus ‘failing’ her. Perhaps the power of this collection lies in the sense that we are those mice running in the walls of the house watching and listening. It takes courage and craft to write about your family, being totally honest to your experiences and yet steering this side of exhibitionistic self-revelation. O’Brien I think achieves this level of courage and craft.